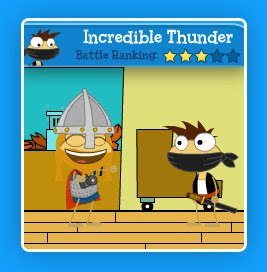 I was eating a nice meal at Capn' Salty's when I came across another fun Poptropican named Incredible Thunder! After a brief chat, I was able to take his photograph and add it to Snapshot Sagas! My old TV recently broke so I had to go shopping for a new one. Luckily for me I found a store that had lots of choices and found exactly what I needed. In this installment of Snapshot Sagas, I went on a trip to the Hair Club on Spy Island. 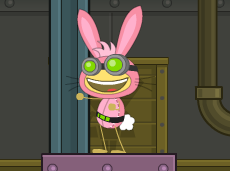 While wandering around near the entrance I met another great Poptropican named Mad Glove! 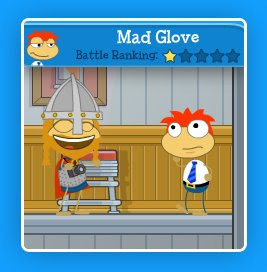 Congratulations Mad Glove, you are the newest Poptropican featured on Snapshot Sagas! 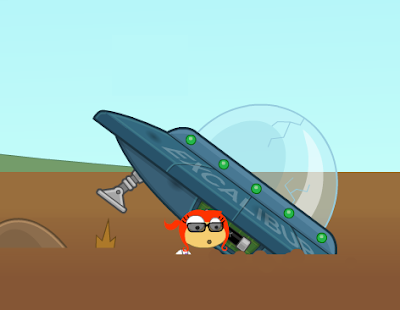 Keep watching for my viking hat and beard, you may be the next Poptropican featured on Snapshot Sagas! 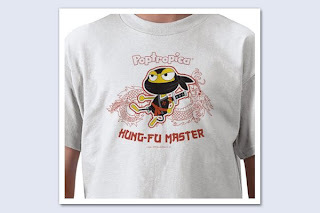 You've spent years training to be a Kung Fu Master, but how will anyone know how awesome you are unless you are wearing a shirt that tells them? We've added a new shirt to our store. Enjoy! I decided to venture inside the damaged building only to find more damaged walls and a bigger mess. What happened here? There's plenty to worry about on Astro-Knights Island. Things are falling right out of the sky! I may have a hazmat suit, but there's no way I was going to wade through that mud to investigate. 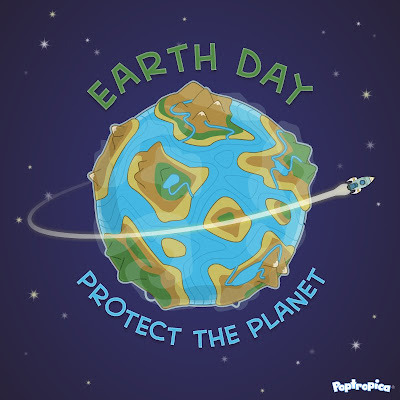 Hunting for Easter eggs is a dangerous activity on this planet! 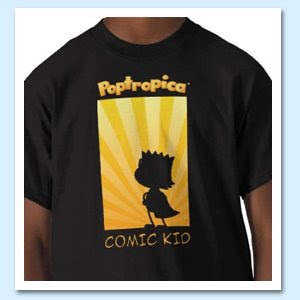 It's Friday - that means it's time for another new t-shirt design available in our store! This building looks trashed. I wonder what happened here? 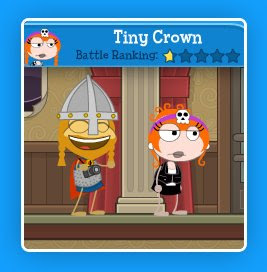 While eating popcorn and bubblegum in the 24 Carrot Island movie theater, I ran into a friendly Poptropican named Tiny Crown. 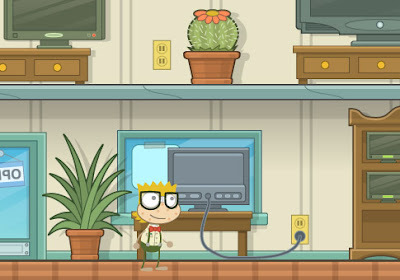 Congratulations Tiny Crown, you are the newest Poptropican featured in Snapshot Sagas! 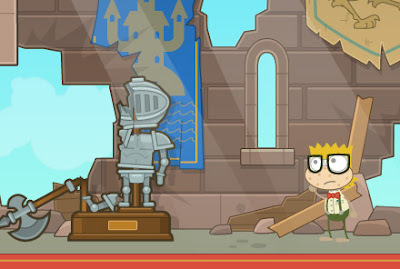 Keep watching for my viking beard and helmet, the next Poptropican featured in Snapshot Sagas could be you! 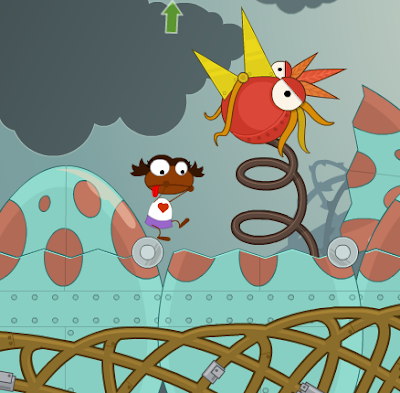 Strange things have appeared in the air above Poptropica. This picture was taken a moment before the mysterious rider vanished into the clouds. A large explosion followed soon after. I advise caution as we continue to monitor the situation. We just had to join in the fun yesterday! Bwaa ha ha ha!